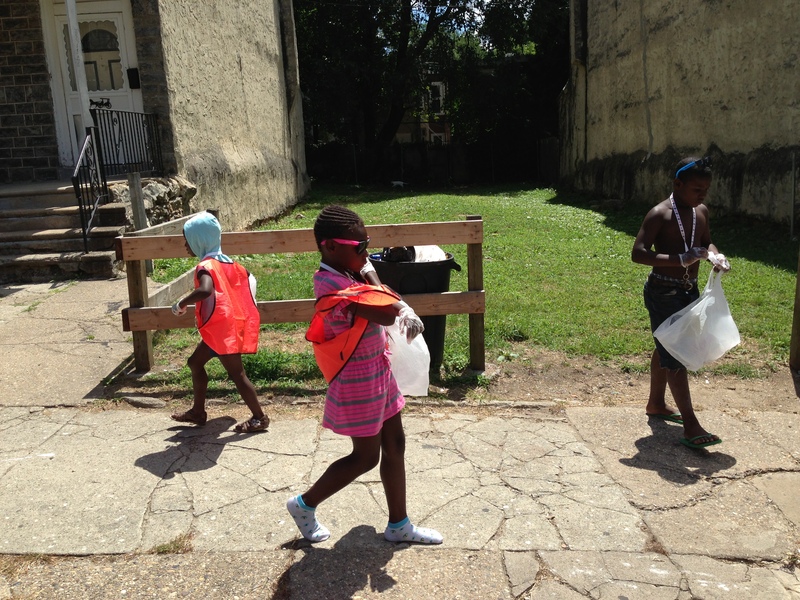 On August 4, we pitched a tent and signed up about 15 kids who were out and about on the block, ranging in age from 3 to 13. Kids worked solo and in pairs with names like Team Bomb, Cool Kids and Star Girls. 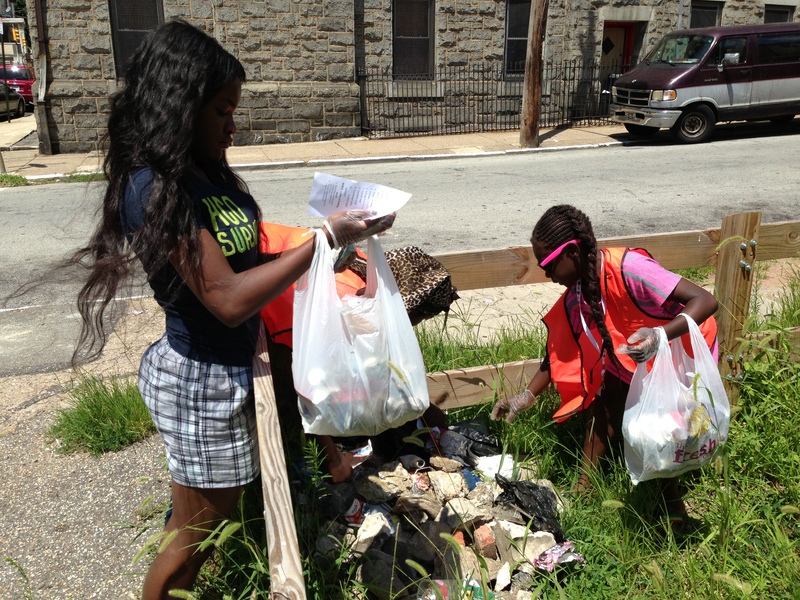 Armed with a list of commonly littered items from cigarette butts to fast food packaging to bonuses like clothing, the kids set out to collect trash discarded on the sidewalk, in the street and in the block’s vacant lots. The almighty list! See the full list up-close. 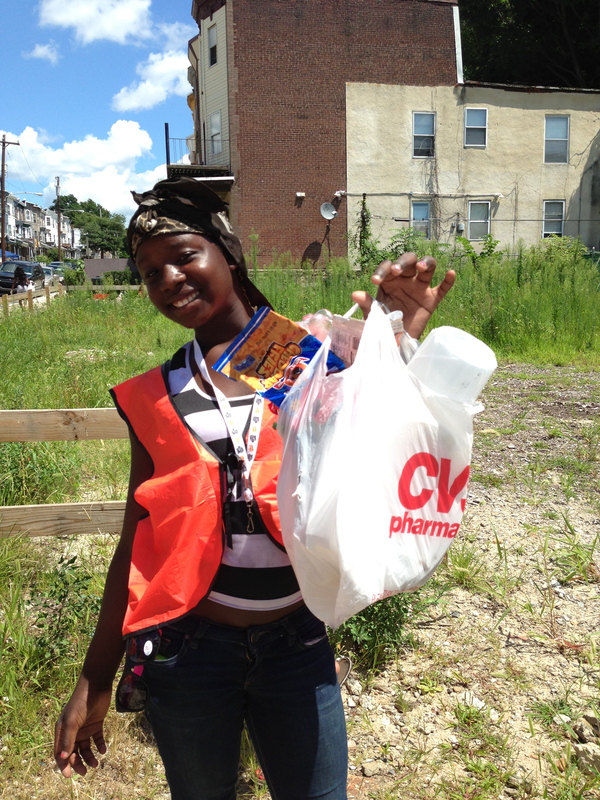 Donning neon vests and plastic gloves, the sleuths stormed up and down the block quickly filling their plastic grocery store bags with litter of all kinds. Not before long, the kids rushed back to the tent with bags unfortunately bursting with garbage to have their bounty scanned and sorted. The organizing crew spread out the litter collection on a table and examined all the different elements while matching the items to the lists. Displaying and sorting all that litter was the most important part of the experience. 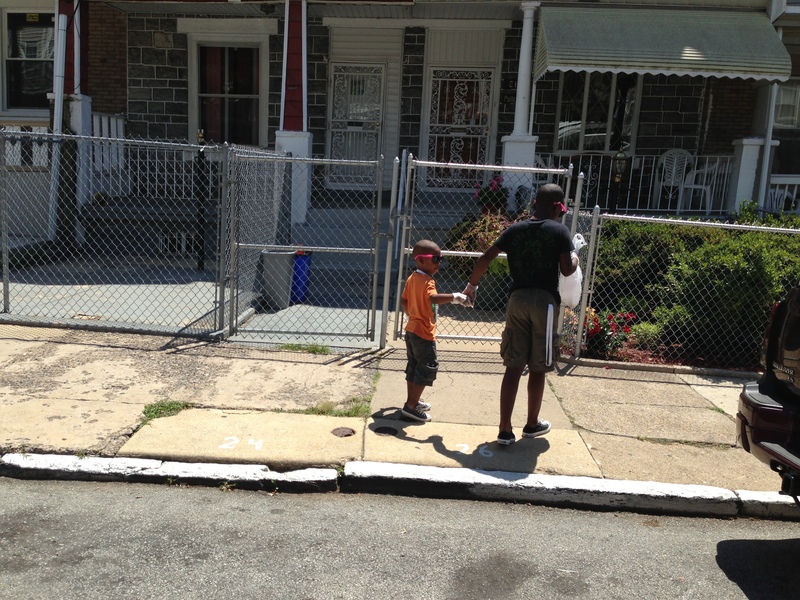 Kids got to see just what kind of trash was all over our block. 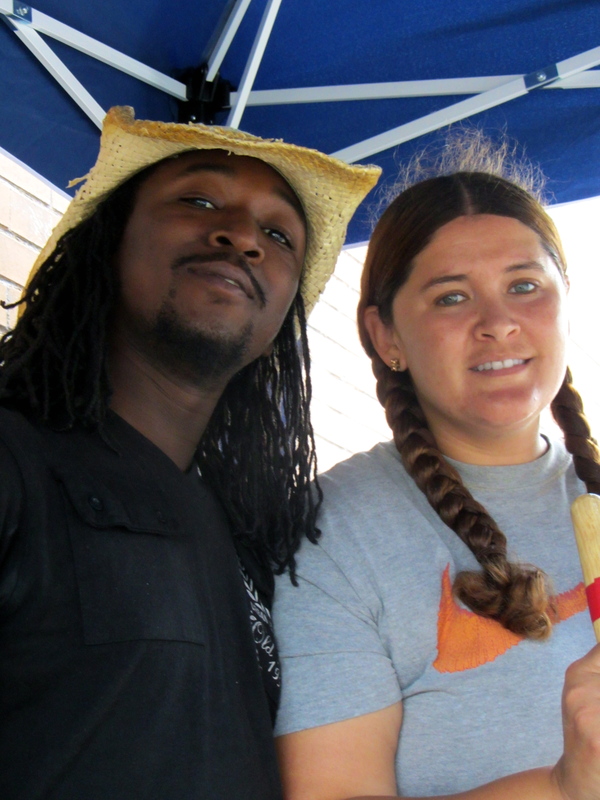 At the end of the day, the kids received prizes, temporary tattoos and hot dogs. 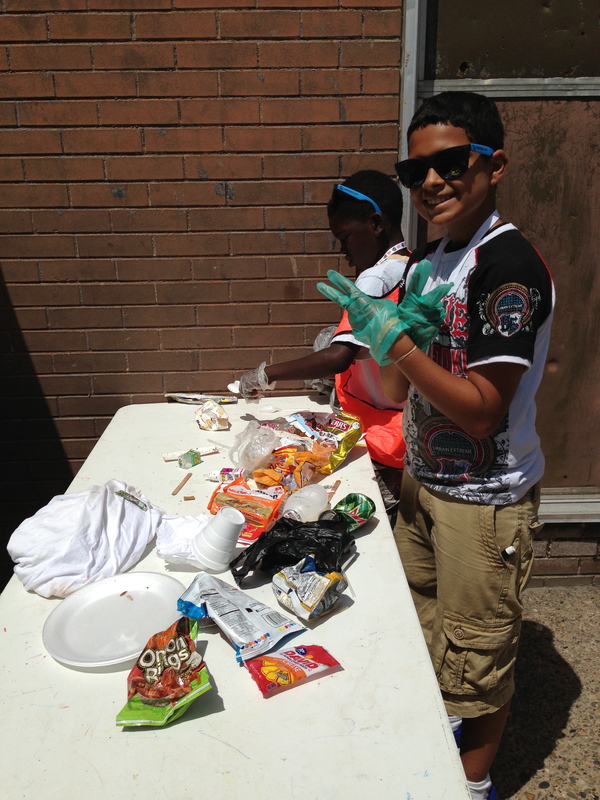 Game for just about anything, children play a big role in cleanups across Philadelphia and their involvement in beautifying their own neighborhoods helps change behavior. 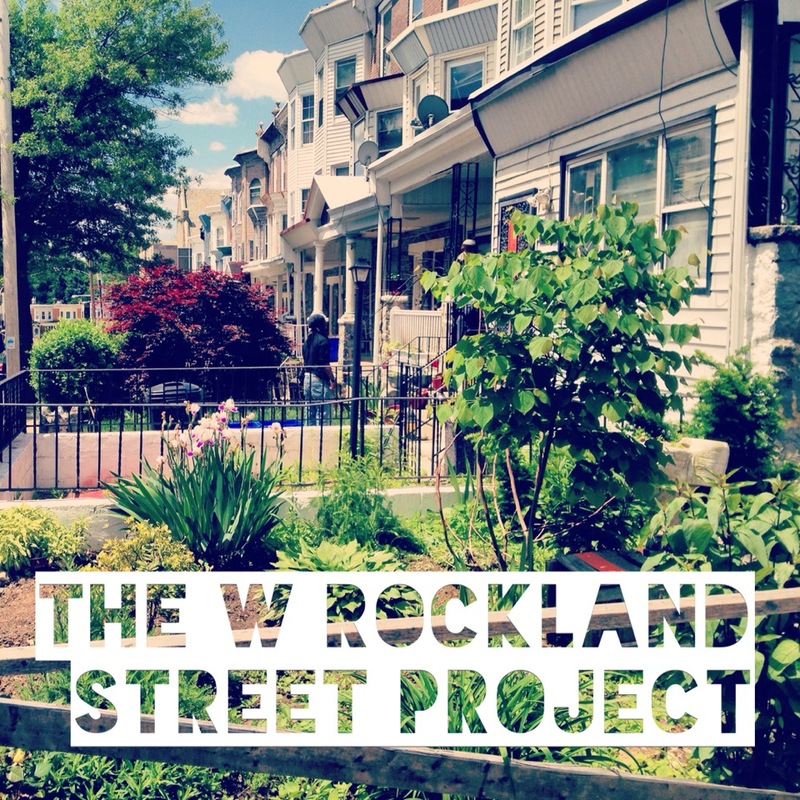 The scavenger hunt is an easy and very low cost activity that you can do on your block! 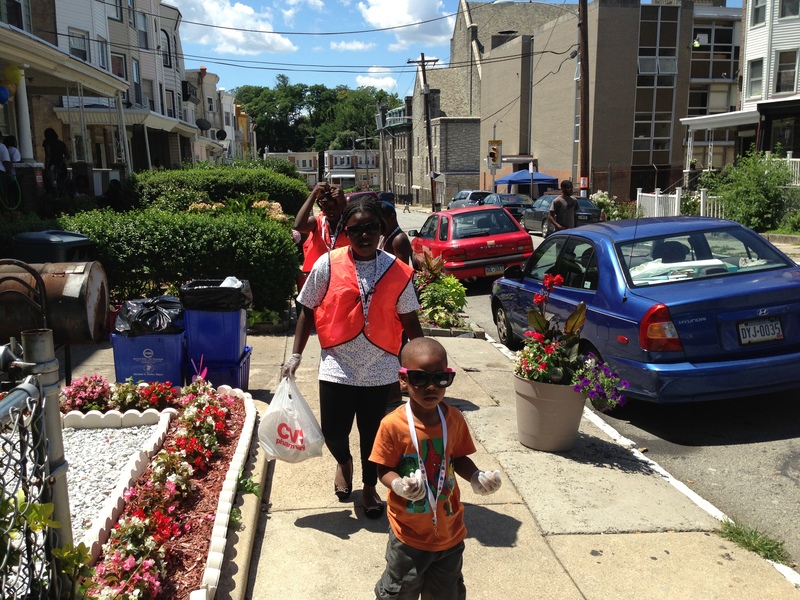 To drive home the anti-litter message with the adult set, West Rockland Street also organizes block cleanups throughout the year and participates in the Philadelphia More Beautiful Committee‘s (PMBC) official district cleanups and the Streets Department’s annual Philly Spring Cleanup. 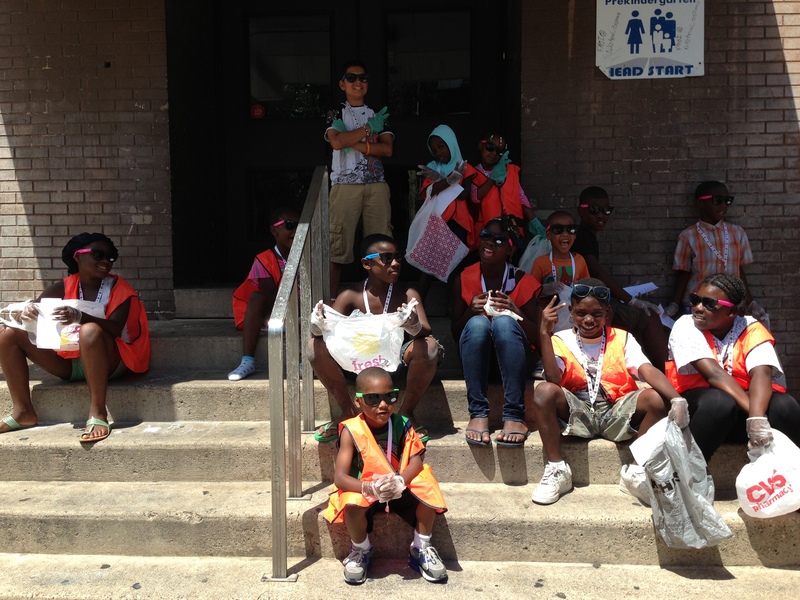 Rockland Street kids ready to get started on the litter scavenger hunt! 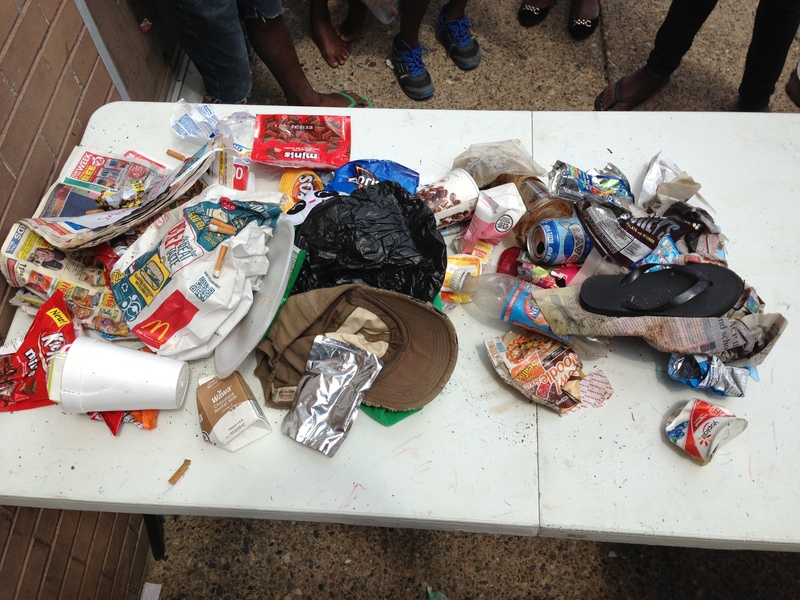 The organizing crew spread out the litter collection on a table and examined all the different elements while matching the items to the lists. 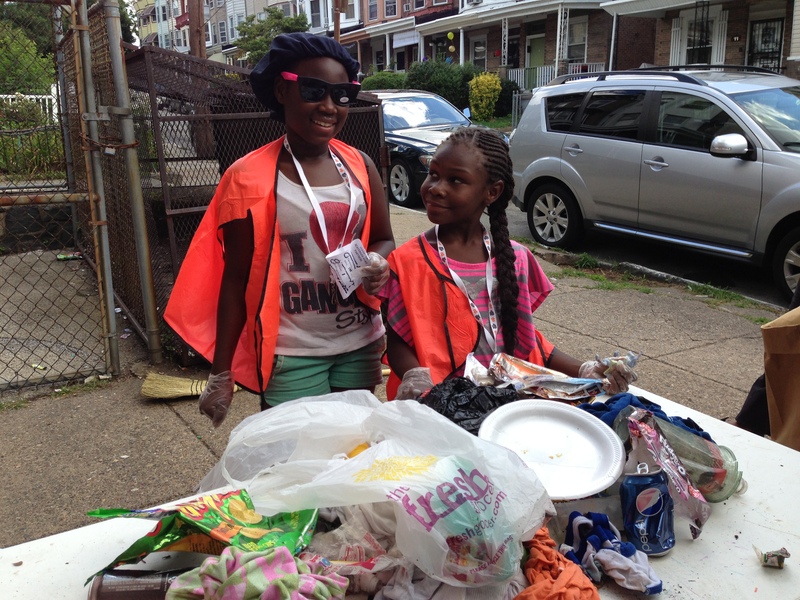 Harmony and Indyia display their trash collection while matching up their littered items to the scavenger hunt list. Did they find everything? 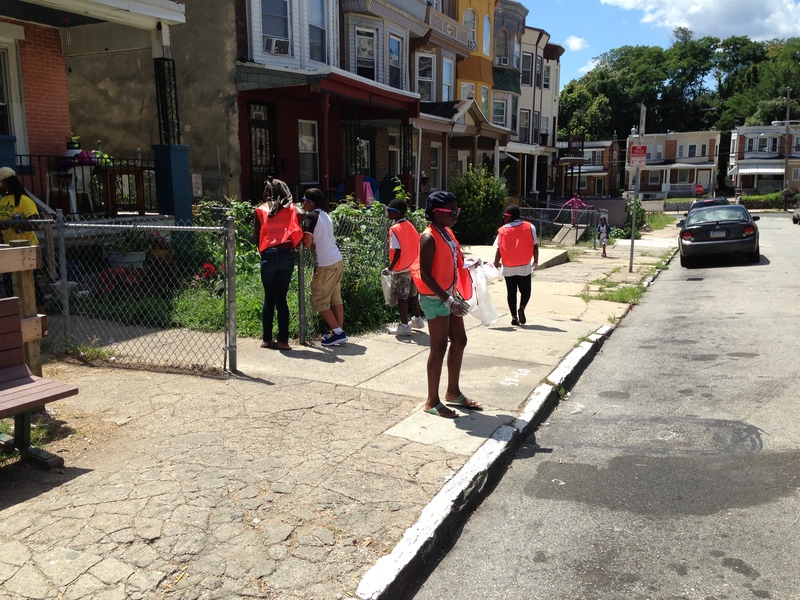 This was a great activity – educational, utilitarian, and fun all in one! And, it was easy to organize. Try it on your block!